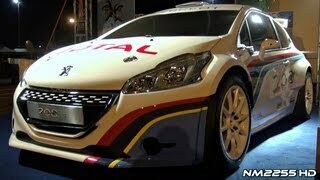 Peugeot 208 Type R5 was unveiled at the 2012 Paris Auto Show and had its successful test session on 15th December. 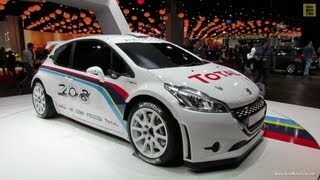 The Peugeot 208 is consequently the first car built in compliance with the FIA’s latest ‘R5’ regulations to have broken cover and turned a wheel. The replacement of the 207 Super 2000 was put through its paces on a gravel stage in the southeast of France (Riboux) where it completed a four-day programme in the hands of Bryan Bouffier/Xavier Panseri.